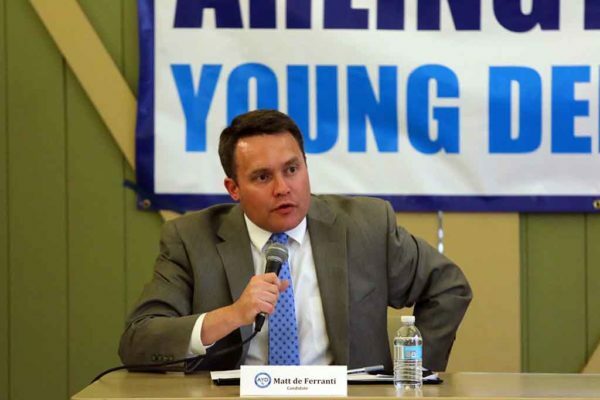 Fresh off a commanding primary win, Democrat Matt de Ferranti has the next four months to make his case to Arlington voters about why they should oust incumbent County Board member John Vihstadt in his favor. De Ferranti, a lawyer and local political activist, has the benefit of running as a Democrat in deep blue Arlington, particularly in a midterm cycle that’s shaping up to be quite favorable to Democrats at the top of the ticket. But Vihstadt, the Board’s lone independent, won his seat in another midterm year, back in 2014, and has incumbency to lean on as he campaigns for another term. De Ferranti spoke with ARLnow about his vision for the county’s economy, how he sees the Amazon HQ2 debate, how he thinks he can beat Vihstadt, and much more.